Forelocks come in all thicknesses and lengths. 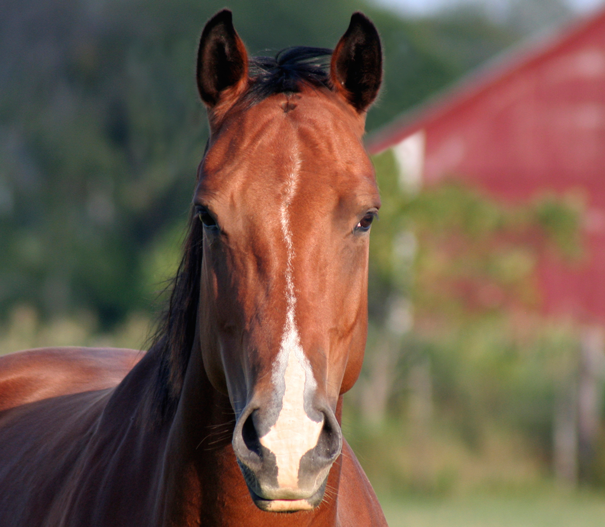 Genetics obviously play a large role in how your horse’s locks looks. Are there ways to improve that thin, wispy, basically non-existent forelock? Well maybe is my answer!! There are a few tips I can share with you but I make no promises that any of them will work in your individual situation! A horse’s health always starts from the inside out. A great first step is looking at what you feed your horse, and asking if the quality of hay and grass is high. Are you in an area where trace minerals are deficient? Zinc, manganese,cobalt and copper are all important minerals required for a healthy coat, mane and tail. It is so important to research what your horse might be missing, or getting too much of in his diet and working with your horse care professional to help support an optimal balance through a fortified grain, ration balancer, or multi-vitamin/mineral supplement. Then specific supplements can be added to support joint, hoof, digestion, and skin & coat or an all-in-one product can be given. Although this sounds counter productive, for some forelocks, removing dead ends can help to thicken up the hair. Using a razor is the best method to periodically remove the dead ends without thinning the forelock itself. When trimming the bridle path you also might consider not trimming so close the ears. Letting the hair grow out and then combing it forward into the forelock, this can help to create a thicker forelock. Obviously it will take time for this section of hair to grow, so time and patience is key. There are many hair growth products on the market. 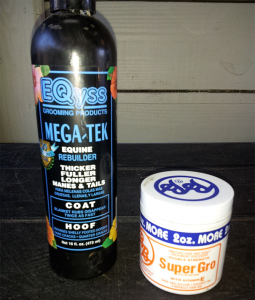 I personally have three that I use on a regular basis to help improve coats, manes and tails. Made of all natural ingredients, this product can be used to improve manes and tails in addition to helping with scratches, rain rot, girth rubs, etc. It’s one downside would be the smell although it’s effectiveness outweighs the aroma! You can rub MTG into the roots of the forelock every other day. It is greasy, and you should only finger groom the forelock to remove any tangles. Remember to shake the bottle well before use and use latex gloves if you don’t want to have the ‘bacon’ odor on your hands! Super gro is a product that you can find in the hair care aisle in many grocery stores. Used daily this can help to improve hair growth in areas that need it: blanket rubs, wounds (once healed) and tail rubs. This is a non-toxic, alcohol free product. Like MTG just rub this into the forelock, really focusing on the roots. Do this at least every other day and you should see some results in a few weeks. Remember that with any form of hair growth product you are not going to see results overnight. So pick one that you like the sound of and then give it at least 3 months before deciding if it’s working for you and your horse. Good luck with growing that forelock, I hope this helps a bit.